Peter Parker got a taste of the superhero life when Tony Stark recruited Spider-Man to battle the Avengers in Captain America: Civil War. 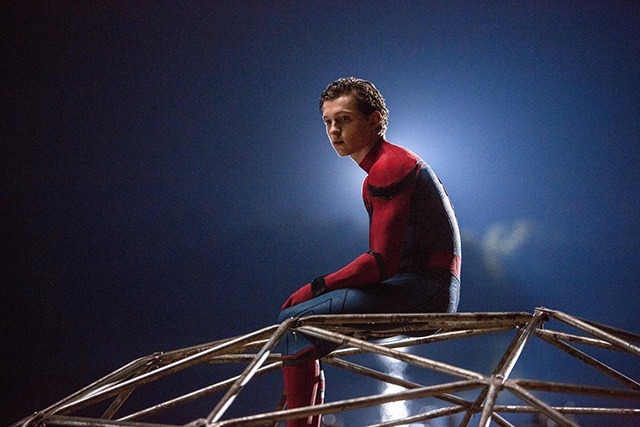 But after an exciting adventure, Peter has to go back to his life as an ordinary kid trying to survive high school. According to actor Tom Holland, "Tony Stark has assigned him to be the friendly neighborhood Spider-Man, which means helping get cats out of trees, helping old ladies across the street, and stopping petty thieves—nothing too hairy. But then Spider-Man stumbles across high-tech weapons, which leads him down a path of learning and mastering his new abilities and powers." Okay, so it's another reboot. But it's a reboot that puts Spider-Man in the Marvel Cinematic Universe (MCU), AT LAST! You probably first saw him in Captain America: Civil War, in his first big screen adventure as the web-slinger! He's signed on to continue playing the role in Avengers: Infinity War, due for release in 2018. To your parents or older siblings, he was Batman/Bruce Wayne in two movies directed by Tim Burton. You may have seen him in the Oscar award-winning Birdman in 2014, with Emma Stone, Zach Galifianakis, and Naomi Watts. RDJ's real life struggles with drugs and alcoholism, as well as his 2008 comeback with Iron Man, have been well-documented. Since that first movie kicked off the MCU, RDJ has reprised the role in eight movies, and he’ll be back in Avengers: Infinity War in 2018. This is his first feature film! The Filipino-American actor was born in Honolulu, Hawaii. She had a small role in Captain America: Civil War back in 2016, but you might have seen her in the TV show Empire. The actor and director has many TV credits to his name, from Friends in 1997 to Star Wars: The Clone Wars in 2013. In addition to playing Tony Stark's driver and bodyguard Happy Hogan, he also directed Iron Man and Iron Man 2. She's best known for playing Rocky Blue in the Disney Channel sitcom Shake It Up. She was in The Last Five Years with Pitch Perfect's Anna Kendrick and Supergirl's Jeremy Jordan. 1. Spider-Man is the most profitable superhero in the world! Back in 2014, Spider-Man earned $1.3 billion in licensing profits. Everyone else trailed behind. The Avengers only made $325 million, while DC's Batman raked in $494 million and Superman came in with $277 million. 2. The character was created by writer-editor Stan Lee and writer-artist Steve Ditko, and first appeared in the anthology comic book Amazing Fantasy #15 (Aug. 1962). 3. There was a series of Spider-Man movies back in the 1970s, starring actor Nicholas Hammond as the web-slinger. Spider-Man was a live-action made-for-television movie released in 1977. 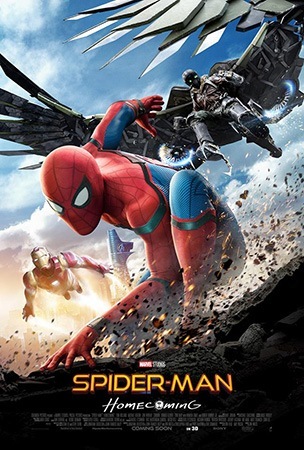 The sequel, Spider-Man Strikes Back, was also a live-action made-for-television movie, but it was released theatrically outside the United States. 4. Are you a fan of Lip Sync Battle? Zendaya and Tom Holland totally battled it out in an episode leading up to the 2017 MTV Movie & TV Awards! 5. There are so many cameos here! Watch for Troy (Donald Glover) from Community, Gilfoyle (Martin Starr) from Silicon Valley, another Avenger, and of course, Stan Lee! I don't know much about Spider-Man, aside from the fact that he's a really popular Marvel character. Sure, I watched all the other movies. But Tobey Maguire didn't work for me. Andrew Garfield was pretty cool as Peter Parker, but I think I was more kilig about the fact that he and Emma Stone were in a relationship on- and off-screen! Then Tom Holland shows up in Captain America: Civil War, and he steals the show! Now he has his own movie, and it's so much fun. 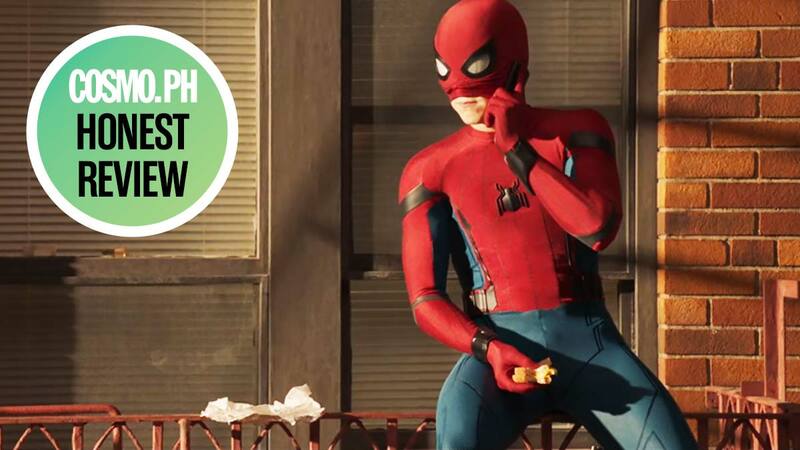 While this movie finally brings the Spider-Man license home to Marvel, it's pretty different from all the other MCU movies, because of the main character. Peter Parker is not a billionaire, a spy, a brilliant scientist, a god, or a super-soldier. His concerns are different from the rest of the Avengers. He's just a kid, who happens to be really strong and agile. He kind of gets teased a lot. He's not really interested in school. He clams up when he has to talk to the girl he's crushing on. He has a best friend who totally gets him, and wants to help him be the hero and get the girl. And just like any kid, he wants to prove that he's ready for the world. It's kind of a regular high school movie, but with superpowers and big fight scenes! Spider-Man was the best part of Captain America: Civil War, but I wasn't sure how well he'd hold up in a movie that, for publicity purposes, seemed to be dominated by Tony Stark. Thankfully, Iron Man is deployed sparingly and, like the other cameos and Easter eggs, purposefully, advancing the standalone plot and cementing Spider-Man's place in the MCU. That said, it's difficult to take the spotlight away from Tom Holland, who tugs at my Tita heartstrings. He's just so awkwardly adolescent and well-meaning and exuberant as Peter Parker/Spider-Man that I can't help but root for him! Also Marisa Tomei is #titagoals. The barkada that watches every Marvel movie together! You can ask each other, "Hey where did we see that guy again?" and "OMG is that Troy? As in Troy and Abed from Community?" You can poke each other in the ribs when you recognize an in-joke or a reference from the comics. You can reminisce about your high school math club and that awkward prom date. And you can giggle together at the many many references to pretty much all the other Marvel Cinematic Universe movies.